Recovery after injury or surgery is often an arduous task and requires a positive mindset and environment. That’s where we come in. The physical therapists at McNeil Orthopedics pride themselves in providing individualized, one-on-one care, offering a full spectrum of therapies for our patients, including exercise to strengthen muscles and promote flexibility, as well as hands-on manual therapy techniques to reduce pain and increase mobility. We also perform cutting-edge methodologies such as blood flow restriction (BFR) therapy. Sometimes referred to as vascular occlusion training, BFR involves the use of a cuff to restrict blood flow to the limbs during strength-building exercises. This promotes muscle growth through the buildup of metabolites such as lactic acid in the area. In this way, patients with weak extremities can reap the benefits of high-intensity exercises while performing low-intensity exercises. 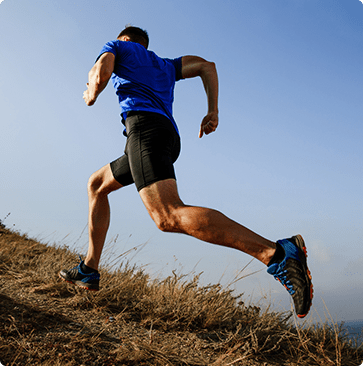 BFR may not be suited for patients with circulatory issues such as deep vein thrombosis. Having physical therapy conveniently located within our office means that the therapists can efficiently communicate with your providers and offer a team approach to your wellness. With 20+ years of experience in orthopedic and sports rehabilitation, our goal is simple: we use a comprehensive approach in a comforting environment to help our patients reach their utmost potential. The physical therapists at McNeil Orthopedics can help make sure you heal properly and get back to the activities you enjoy in no time. Call our dedicated physical therapy line at (508) 205-3745 or request an appointment online.